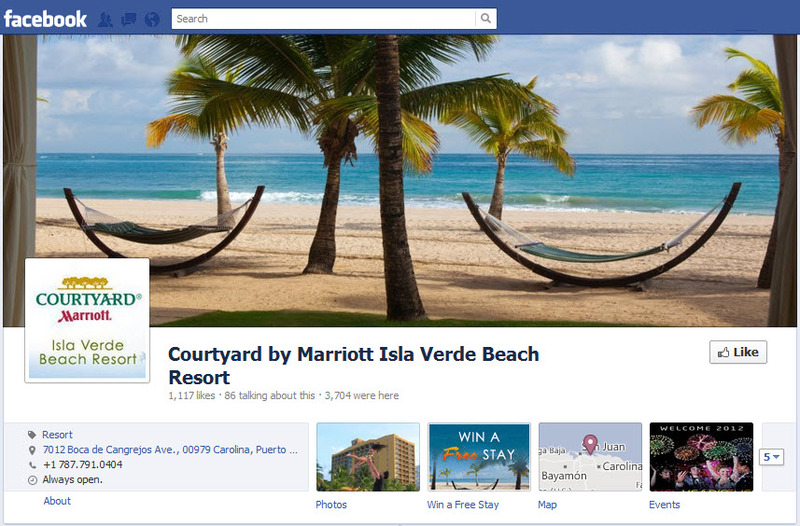 In December 2011, Facebook launched a redesign for user profiles called Timeline. The goal of timeline is to allow users to tell their life stories through photos, posts, important moments, and more. When used well, it can be an incredible, visually stunning way to look at a profile. After months of testing with users, Facebook announced in the beginning of March that they would be rolling out the new Timeline layout for all brand pages as well. To this point, the transition has been voluntary, but on March 30 all brand pages will be changed to Timeline. The important questions: how does this change affect the way my brand uses Facebook, and what do I need to do to be ready for the switch? Knowing about the following five items will help make sure you stay ahead of the competition and have a beautiful new Timeline page. Cover photo: This is your chance to make a stunning first impression to anybody visiting your Timeline. Facebook has allocated a significant amount of visual space to the top of the page – 851 pixels wide by 315 pixels tall to be exact – allowing you to show off your unique selling points. To get noticed, think outside of the box. Don’t just go with an exterior shot or the lobby; pick something that makes your hotel unique, like a signature cocktail at the bar, an interesting view from the guest rooms, a photo from an annual holiday party, a favorite guest hangout spot on property, etc. One important thing to note is that Facebook has set a fairly strict no-call-to-action policy for the cover photo. This includes text driving users to your website, asking them to Like your page, offering a discount for interacting and more. Click here to read Facebook’s official policy. Profile picture: This is the image that gets displayed next to every post you make on Facebook, so it is your opportunity to clearly brand yourself. While you don’t want to be boring here, keep in mind that it gets scaled down to a fairly small thumbnail size – 50x50px – in the newsfeed, so ensure that your name and logo are clearly visible at that size. The larger version of this – up to 180x80px depending on your screen resolution – is displayed on your timeline overlapping a portion of the lower left corner of your cover photo. Keep this in mind when choosing the cover photo to ensure the profile picture isn’t hiding any important details. Applications and custom tabs: Applications have been given a significant size overhaul with timeline. 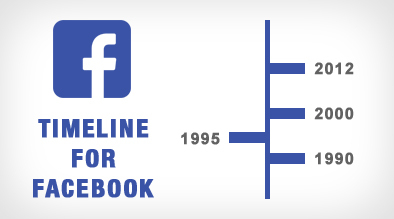 While they were previously constrained to a width of 540px, Timeline allows applications up to 810px – almost an entire website within Facebook. This increased space allows for significantly more design and functional creativity. A fantastic additional feature is the increased visibility custom applications have on Timeline. In the older version of pages, the only call-out for a custom application was a small text link and tiny icon beneath the profile image on the left side of the page. With the Timeline, each custom application gets its own image (111x74px) beneath the Like button. This is a significant amount of space to create a compelling reason for visitors to click. Think of this like a visual paid-ad opportunity: be creative and include a call to action. These images to not have the same restriction as cover photos, so if you’re running a contest, don’t just say “contest” – give people a reason to win, enabling them to understand why your application deserves their click. The focus on images is stronger than ever. It’s no secret that images tend to get the most user engagement on social networks. Facebook’s new layout gives you the ability to feature specific images spanning across the entire timeline, allowing you to prominently display reasons that fans should be interacting and spending money with you. Highlight key events in your corporate history by adding items in the past. Timeline allows you to pick the date you want posts (text, images, videos, etc) to appear. For hotels with a rich history, this is a great opportunity to highlight how you got where you are today. It can also be used as a fun visual way to document any past renovations. You can no longer set one of your custom applications to be the default landing page for non-fans. If somebody visits your Facebook page, they will always be directed to the Timeline. This makes it even more important to have a compelling cover photo, as well as great images on the links to your applications. You can however lead users directly to your applications by sharing the unique URL for each app, instead of just the main Facebook page. Keep this in mind when linking to promotions or contests from blogs or other social sites to ensure you are driving traffic directly where you want them to land. Users are finally able to interact directly with pages privately, rather than writing on the wall. This is an excellent way to interact with fans who may not want to send a public statement, but still have a question. Make sure you turn on the “Message” function in settings to allow users to send you comments. This private communication is two-way, but it must be initiated by the user; the brand cannot start a conversation with any Facebook user at will. In a nutshell, those are the main new features of Facebook’s Timeline for brands. If you have not yet focused on maintaining a strong visual presence in your social space, now is the time. There are sure to be many creative ways brands use Timeline in the upcoming months, but it is just as likely that many brands will misuse these great new features. Taking the time to get your ducks in a row now will help ensure that you continue providing a quality experience for your fans, and stay ahead of your competition. Facebook timeline pages are definitely the way to go. They look cool, they show an instant snapshot of the history of an organisation.. and as we all know history is important. The features are rich, they are flexible and above all else they are very apple like in their appearance. I found a cool video on Youtube called Facebook Timeline Pages Made Easy and I guess it sort of made me wonder what all the fuss was about with these timelines. It’s bold, it’s big change and I love it. Previous version of Facebook pages were batter then the Timeline one! 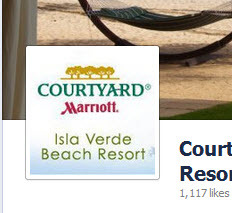 Home Leveraging Trending Topics and Facebook for a Successful Blog – Case Study	Case Study: Is Pinterest Right For Hotels?